Carla and her son Ian have a very special Mother-Son tradition – the Olympics! Today she shares with us some of her favorite memories and best tips! 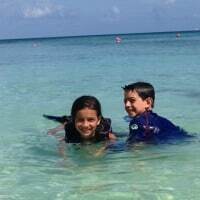 Q: Carla, how many Olympic Games have you been to and how did this unique family tradition begin? A: 6! In 1992, I’d always wanted to go to Barcelona so decided to just splurge on an Olympic trip. Then, 4 years later, in 1996, Olympics were in Atlanta so going was a no-brainer. In 2000, I had just sold my business and had some free time, so gathered some friends and made the Sydney Olympics the feature of a 6-week walkabout in the South Pacific. By the time 2004 came along, going to Athens seems natural. And in 2008, Ian’s good friend, Henry, was Chinese, and agreed to go as our personal guide! In 2012, I was recovering from a health issue so we hopped over the pond to the London Games for just a few days. And then came 2016 in Brazil with unfinished venues and fluky reservation systems, so we opted out. That’s why we decided to try South Korea, our first Winter Olympics! Q: So tell me more about your tradition. A: I always pack a USA flag. I flew the American flag on the Great Wall of China. And I’d take my flag to all the events. 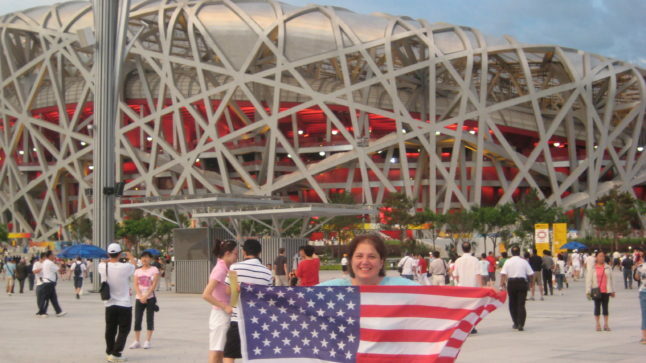 Here I am in front of the Birds Nest, the Olympic stadium in Beijing. I was about to fly the American flag under the picture of Mao in Tiananmen Square when the guards approached me and I stopped. Q: Carla, you know I am ALL about the food. So I have to ask – what’s the most interesting Olympic food you’ve eaten? A: We had kangaroo pizza in Sydney… Cockroaches on a stick in Beijing! Q: Share, please, your best Olympic memory? A: Best part is going to a sports event and seeing Israelis and Palestinians sitting next to each other and cheering for other teams. It is all about the sports! Q: So this all sounds so magical. Have you ever had any problems? A: Well, aside from aggravations with CoSport (who controls the ticket sales), the only scary thing that ever happened was at the Atlanta Games. Ian and I were sitting on the very bench where, a mere 2 hours later, the bomb went off. Q: Buying tickets through CoSport – that sounds as frustrating as using FIFA for the World Cup. I know all about that! So are there other options for ticket purchases? A: Each Olympics work differently, depending on how popular the destination is and which events you want to see. Basically you can buy tickets online beforehand if you have a credit card from the country where you’re purchasing tickets. So in Atlanta, it was easy and I bought in advance online. In Beijing, the government issues tickets free of charge to Chinese residents, most of whom did not want the tickets. So they would scalp the tickets in front of the venues, usually for about $200/ticket. I remember special sports like Swimming were more – maybe $300-400. For London, tickets sold out entirely in advance. So our only choice was to buy through Cosport. I remember I paid $800 per ticket to get into Olympic stadium – but boy were those great seats! I was 4 rows from track when Usain Bolt ran past! Non-track-and-field events were not so pricey. Typically CoSport puts tickets online the night before the event and you can buy them. CoSport completely controls the prices but for many events, tickets run as low as $100 apiece. Q: Many of us will be tuned in on Friday February 9th for the Opening Ceremony. What was your favorite Opening Ceremony? A: I loved Beijing. China is all about millions of people, working in unison. 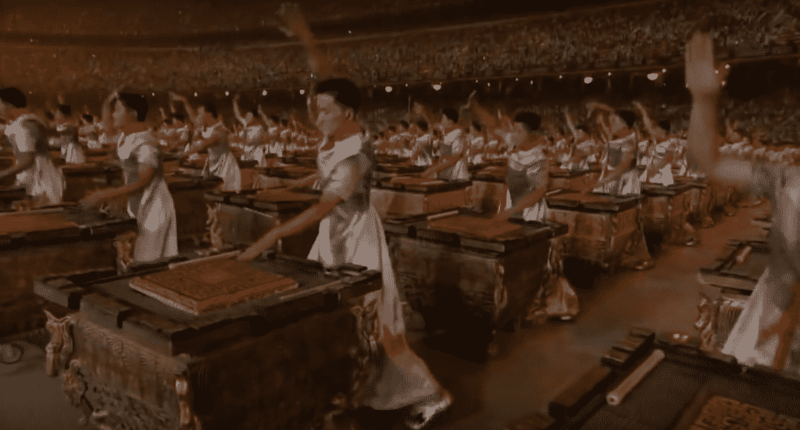 And that is exactly how they presented their country to the world in the Opening Ceremony with thousands – literally thousands – of drums beating in precise coordination. It was spellbinding. Check it out here. Then make sure to catch our related blogs on how to be an Olympian wanna-be in the 2018 Winter Games in either Lake Placid and Salt Lake City. We’ve included lots of ideas for where to stay and fun experiences to book.